It is four years since Sofapaka last won a trophy, and one man who was there not as coach but as a player, John Baraza, wants to quench that thirst. Baraza was starring in front of goal for Batoto ba Mungu when they beat Posta Rangers 2-1 at a rain-soaked Afraha Stadium courtesy of Clifton Miheso’s goal and since then, the side has not won any crown. This year, Baraza who has taken charge of his first full season as coach is optimistic of breaking that drought and furthermore, make history by being the first man to win the title both as coach and player for the same team. “Everyone wants to make history and for me, I am motivated by this. But more so for the team because we are a big team and four years without winning anything is not good. We need to break that drought and win this having lost the league,” Baraza said. They play against a Sharks side they haven’t beaten before in six previous meetings. In this season’s matches, they drew 0-0 in the first leg but lost 1-0 in the second. Baraza knows it will be a tough duel against last year’s losing finalists and has urged his side to take the match with utmost seriousness. “This is a final and it is anybody’s game. They have come this far and that shows they are not an easy team. We respect them a lot because they are technically and tactically good,” Baraza said. He has urged his players to use the allure of playing in next season’s Confederations Cup as motivation to win the game. 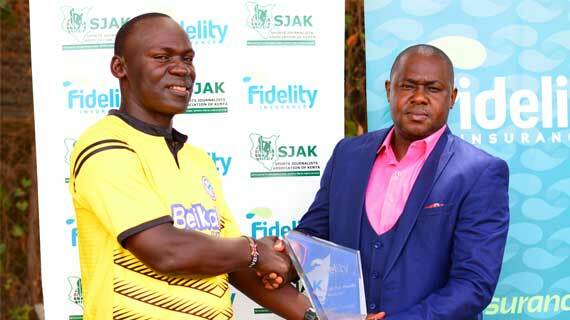 Meanwhile, on top of winning the Sh2mn prize money, club owner Elly Kalekwa has promised the team Sh1mn if they clinch the crown while sponsors Betika have also thrown in another Sh1mn promise.